The free Absher app, created by the Saudi interior ministry, allows men to update or withdraw permissions for their wives and female relatives to travel internationally and get SMS updates if their passports are used, said human rights researchers. The app is available in the Saudi version of the Google and Apple online stores. "Part of the app's design is to discriminate against women," said Rothna Begum, an expert in women's rights in the Middle East at Human Rights Watch. "The complete control that a male guardian has is now facilitated with the use of modern technology and makes the lives of men ultimately easier and restricts women's lives that much more." Neither Apple nor Google were immediately available for comment. Apple CEO Tim Cook told U.S. public radio NPR yesterday that he had not heard of Absher but pledged to "take a look at it." 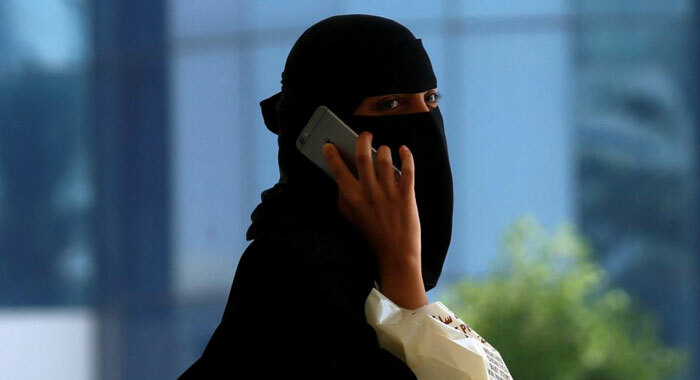 Saudi women must have permission from a male relative to work, marry, and travel under the country's strict guardianship system, which human rights groups have criticized as abusive. U.S. Senator Ron Wyden has publicly called on both Apple and Google to remove it from their stores, arguing it promotes "abusive practices against women" in a Twitter post. However, Suad Abu-Dayyeh, a spokesman on the Middle East for women's rights group Equality Now, raised doubts over whether the companies would take action. "Power and money talks, unfortunately, without giving any attention to the violations of human rights," she told the Thomson Reuters Foundation. Its guardianship system came under fresh scrutiny after Saudi teenager Rahaf Mohammed al-Qunun fled from her family and was granted asylum in Canada in January. Saudi Crown Prince Mohammed bin Salman indicated last year he favored ending the guardianship system but stopped short of backing its annulment.